At Lady Lash we stay at the forefront of brow technology, so you can be sure your brows are the best they can be. We’re proud to introduce our newest service, Henna Brows, a natural, long-lasting alternative to ordinary tints. Henna is a plant-derived, vegan dye that has been used for thousands of years on skin and hair–it was only a matter of time before some clever clogs adapted it for your brows, and it really is a perfect match. 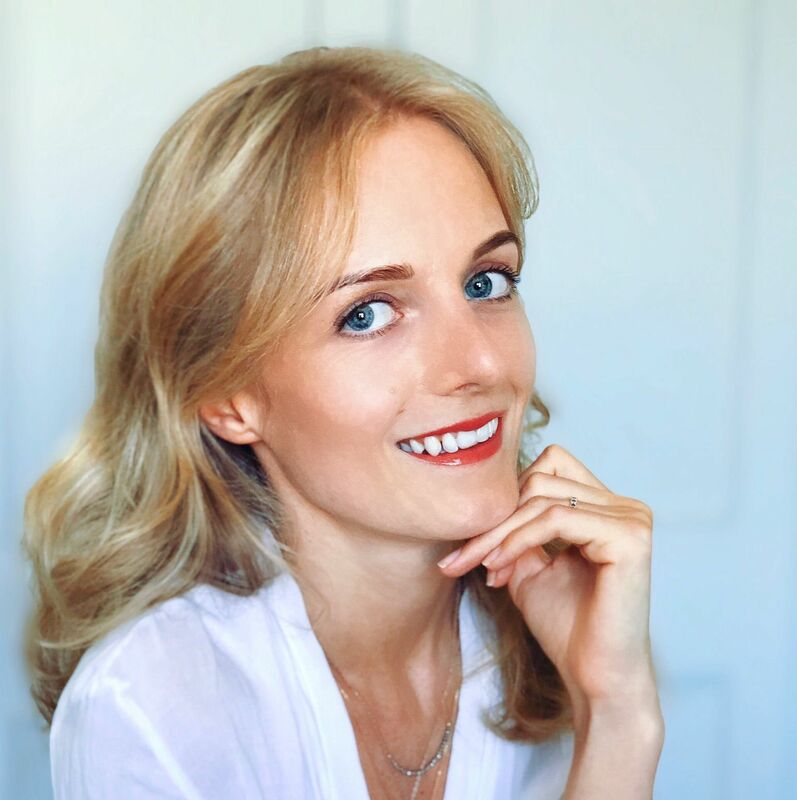 Irina Levchuk, founder of the internationally-renowned Lash & Brow Design Academy, has formulated a special henna solution that is taking the world by storm–and will be on offer soon in our Newtown, Parramatta and Gosford salons. We have twelve colours on offer for maximum flexibility with our styling, including shades specially formulated for blondes and brunettes (no need to worry about any red undertones!). Henna is more strongly pigmented, more customizable and lasts longer than any brow treatment we’ve come across, allowing you to take your brow game to another level. Henna is extracted from the fibres of the henna plant, and has a history stretching back five thousand years. Henna has been used in traditional body art, as a hair dye and treatment, and for medicinal purposes. Henna encourages hair growth, acting as a skin and hair conditioner as well as a dye treatment–it really does everything! The Henna Brows solution is very strongly pigmented, ensuring a sharp shape for your brows that lasts much longer than a normal tint. As henna stains the skin temporarily, you will get the added benefit of deeper definition for around fourteen days–so ditch those brow pencils, ladies! How long do Henna Brows last? Henna’s natural dye is far more effective than an average brow tint–you should be looking at 4-5 weeks worth of beautifully defined henna brows. Henna also will stain the skin for 7-10 days on average, as a little added extra. Is Henna Brows safe to use? As henna is a natural ingredient, there is a small chance that an allergic reaction could occur during the treatment. 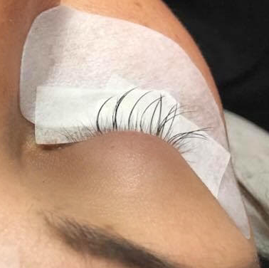 We would strongly recommend popping in for a quick patch test 48 before your Henna Brows booking, just for peace of mind–and if you experience any discomfort, just let us know! This is especially recommended if you have a strong history of allergic reactions. Even if you have had henna treatments before, a patch test is the best way to ensure you will love your Henna Brows. I’m a redhead, will Henna Brows work on me? Absolutely! 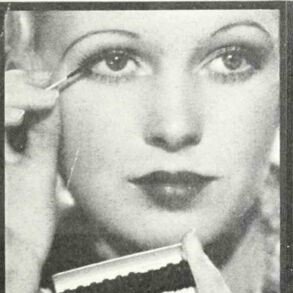 Henna Brows is perfect for those with red tones, as the henna dye naturally carries a redder pigmentation. We know that redheads come in all shades, so we customise our Henna Brows colours to suit your individual brow! Just chat to your stylist, who will be happy to mix a tint for you. Is Henna Brows effective on grey/white hair? Henna absorbs much faster and deeper into the hair follicles than a normal tint, so it’s a great choice for those with lighter or more mature hair. 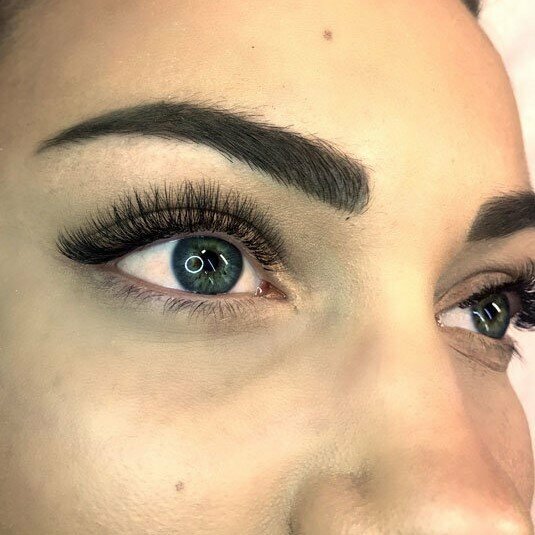 Henna Brows is a deep tint and can create a strong brow, so we would recommend patch testing or choosing a slightly lighter shade for the best possible result. We will always chat to you before applying your Henna Brows treatment to ensure that your brow shade is right for you. I really want to try Henna Brows, but my brows are naturally sparse! 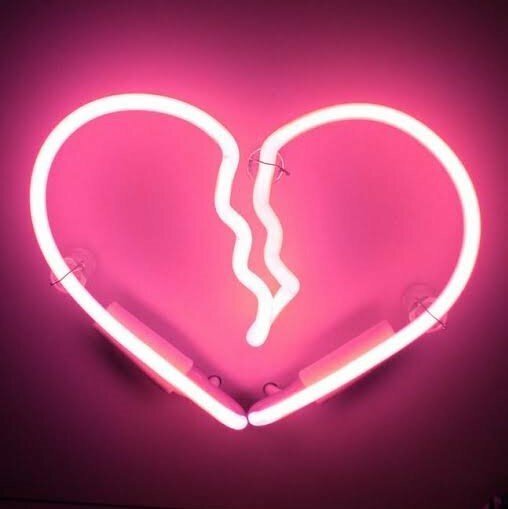 Can I still make it work? If your brows are on the sparse side, Henna Brows could be your next favourite thing. The powerful natural dye is great for reshaping and filling out the brows–it picks up every little hair and stains the skin for brows that wow! Our stylists are highly trained in brow design and can customise the brow shape and colour to best suit your face. Plus, the conditioning properties of henna allow for increased hair growth, so you’re helping those brows out at the same time! Does Henna Brows work with cosmetic tattoo? 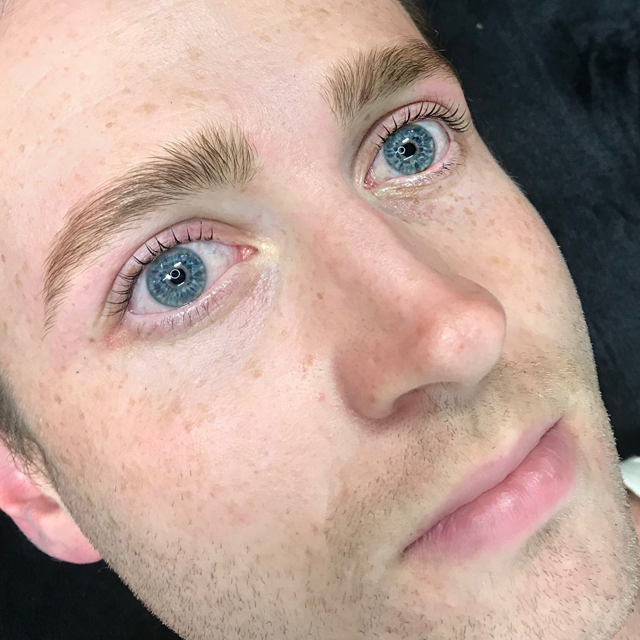 Henna Brows is a fantastic option for a less permanent brow enhancement, especially if you’re debating whether or not to take the plunge into cosmetic tattoo. The skin staining can give a handy sneak peek into the brow shape and depth of colour allowed by cosmetic tattoo–and you can take your Henna Brows out on the town as a tester! 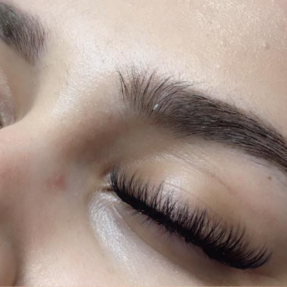 If you have an existing tattoo, you can absolutely try the henna treatment to freshen up your brows–Henna Brows stains the skin surface and hair follicles, but does not interfere with any pigments underneath the skin.